Nagpur: A Maharashtra government Special Task Force on Friday urged the Centre to institute a CBI enquiry into reports that around 3.50 million packets of illegal Herbicide Tolerant (HT) genetically-modified cotton seeds are sold during the current season in several cotton-growing states in the country. Reacting to a comment piece carried by IANS on October 18, titled “Widespread use of unapproved GM cotton shows official tolerance of illegality”, Vasantrao Naik Sheti Swavlamban Mission Chairman Kishore Tiwari cited reports of New Delhi-based South Asia Biotechnology Centre (SABC) that such illegal packets worth around Rs 4.72 billion are being sold in different states. These states — Maharashtra, Gujarat, Karnataka, Telangana, Andhra Pradesh, Odisha and Madhya Pradesh — account for nearly 8,50,000 hectares or 7 per cent of all the total cotton-growing areas of India — is under the illegal Herbicide Tolerant (HT) cotton hybrids cultivation, he said. “This is a very shocking revelation and needs a detailed probe into the functioning of the Genetic Engineering Appraisal Committee (GEAC), Indian Council of Agricultural Research (ICAR) and Central Institute of Cotton Research (CICR) since they are responsible to check the illegal sales,” Tiwari said. 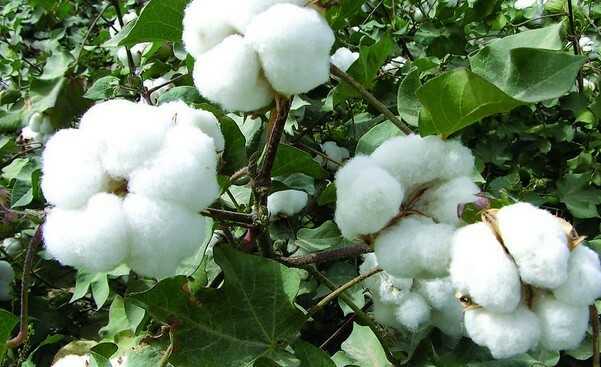 He said these hybrid cotton seeds were recently attacked by pests and bollworms for which the farmers made indiscriminate use of deadly pesticides, leading to 40 deaths and over 2,000 more were affected. Tiwari pointed out that the HT cotton hybrid sale was rampant even after it was brought to the notice of the central government and other agencies, besides the concerned states, and the deadly effects as seen in Maharashtra. Tiwari demanded an urgent stop to the illegal sales, and to locate and identify the land where the spurious HT cotton hybrids are being used and destroy them. His demand came close on the heels of Maharashtra Agriculture Minister Pandurang Phundkar’s call for a ban on the HT genetically modified cotton seeds. Tiwari cited reports that though such HT cotton hybrids are being grown in USA, Brazil and some other countries since 1998, it has not been technically and formally approved in India so far, thus rendering its cultivation completely illegal. In fact, the CICR has even found that six of the nine cottonseed hybrids tested positive for herbicide tolerance, but did not care to inform the Maharashtra authorities. It was only after the state’s Principal Secretary (Agriculture) Bijay Kumar sought to know details about it following media reports of extensive cultivation of such HT cotton hybrids in the above states that the matter came into limelight. He said while India has tough laws and regulations for approval of GM crops which need to adhere strictly to bio-safety standards to obviate risks to humans, animals and environment, the lackadaisical attitude of CICR, ICAR, GEAC allows rogue actors a free hand. “The casual attitude of these departments, their officials and the states’ agriculture departments needs a thorough CBI probe,” Tiwari urged. According to some reports, the global giant Monsanto, which owns the HT trait found in CICR samples, has claimed it has informed the GEAC about it since 2008 and most recently in August 2017. “Yet, the GEAC has turned a blind eye to the issue, pointing to a larger involvement of regulatory bodies which needs to be scanned properly by different experts,” Tiwari concluded.